Avanti Senior Living has released details on its development in the Towne Lake master-planned community in Cypress, Texas. The senior living center will break ground in early May and the $15 million facility will offer 90 residences for independent assisted living and memory care clients. It will also employ 75 people. Avanti, based in The Woodlands, announced plans in March to open the first two of several communities in Texas in the Houston area, according to the Houston Chronicle. Both properties will be 76,000 square feet and will open within the next year. Avanti announced that it would build its new community in Towne Lake in Cypress in March. Rendering credit PRDG, Studiosix5, Cypressbrook Development Company and Oakbrook Homes. 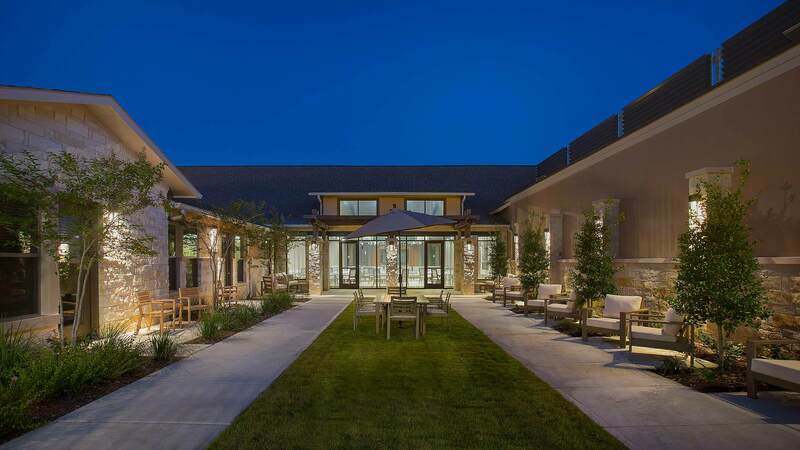 Avanti and other senior-living companies have targeted Houston for growth owing to the increased numbers of Baby Boomers looking for comfortable residences as they age. Soon after Avanti's announcement in March, Dallas-based Caddis Partners said it would build projects in Cypress and Clear Lake. Both will be 63,000-square-foot facilities and will open in the first quarter of 2015. In 2013, Houston-based Bridgewood Property Co. said it would build a community on 2 acres of land in River Oaks, while Irving, Texas-based LaSalle Group has been behind multiple projects in the same area.